Colony Collapse Disorder or CCD has decimated the honeybee population. Most scientists agree that it is caused by a combination of factors ranging from the environment, climate change, unknown viruses, and other pathogens. If CCD is not resolved, it will severely damage a multi-billion dollar food industry. Figure 1. A European Honeybee (Apis mellifera) gathers nectar from a flower. Photograph by James Petts, 2014. CC BY-SA 2.0. Since 2009, the population of Apis mellifera, or the honeybee (Figure 1), has been in continuous decline. Scientists are unsure of what is causing the decline, called Colony Collapse Disorder (CCD), but many researchers hypothesize it stems from numerous factors ranging from the misuse of pesticides to RNA viruses.1,2,3,4,5,6 Diminished populations of honeybees can have a large impact on the quantity of crops produced and the global economy.1,3,4,6,7 While there are many possible causes of CCD, microbes, pollutants, and stress factors are the three biggest influences that have contributed to the decline of honeybees. Figure 2. 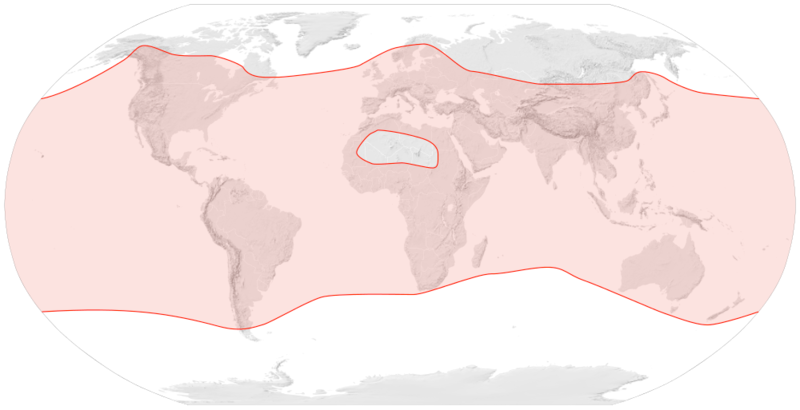 Distribution of the honeybee (Apis melifera). While native to Europe, Asia, and Africa, the European Honeybee can now be found around the world. Courtesy of Semhur, 2011. CC BY-SA 2.0. Bacteria have the advantage of being highly infectious and target the weak and young bees.8 Well known diseases such as the American and European foul brood disease infect and kill the larvae, but are less hindering towards adults.4 Tests have concluded that adults carry lower levels of these infectious bacteria.8 A bacterial infection would explain the quick spread of disease within a colony. Lastly, infected bees do not return to the hive, thus an infection would be undetected in the healthy bees. Image courtesy of Giulia De Rossi, 2014. CC BY-SA 4.0. Sunflower photo by Stan Shebs, 2008. CC BY-SA 3.0. Peach rose photo by Scott Wylie, 2009. CC BY 2.0. Cosmos photo by Magnus Manse, 2013. CC BY 2.0. White rose photo by Scott Wylie, 2009. CC BY 2.0. Yellow tidy tips photo by Alan Vernon, 2010. CC BY 2.0. Varroa mites photo by Robert Engelhardt, 2005. Public Domain. Micrograph of microorganisms by Richard Muir, 1927. CC BY 4.0. Phorid fly photo by Inna Strazhnik, 2014. CC BY 2.0. Honey bee photo by Karunakar Rayker, 2010. CC BY 2.0. Other stressors have also been known to affect bee health. Scientists are becoming more interested in the interaction of the environmental factors which include habitat loss and climate change. Climate change may impact organization levels of bee hierarchy by “changing the temporal activity of bees”.7 Plant biodiversity in many regions of the world has changed due to the introduction of foreign plants, pathogens, and other species of insects.7 Some foreign plants were introduced to provide better resources for the bees. 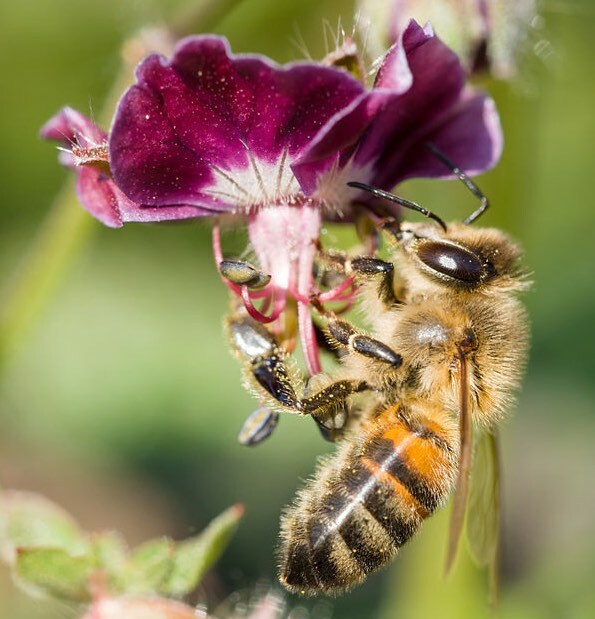 Other plants and bees have been introduced into the region and have caused new pathogens to come into contact with native honeybees.7 Transplanted bees have an extremely difficult time adjusting to their new environment. Bees have to constantly move from location to location to pollinate crops around the United States, and as more colonies die, the healthy colonies must work harder to pollinate8 (Figure 4). Lastly, the interaction of the foreign objects with the indigenous species can cause diseases to pass and mutate. Figure 4. 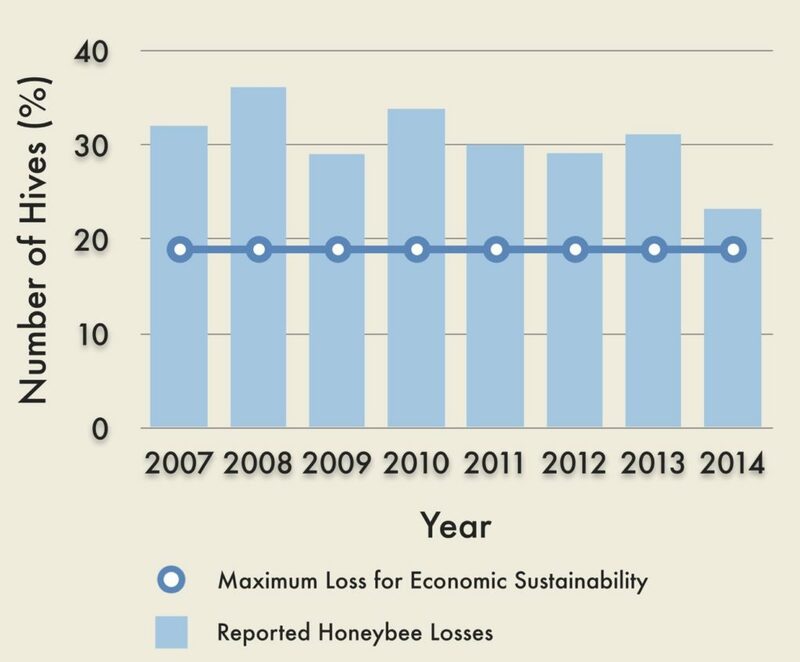 Reported Annual Honeybee Losses in the U.S. 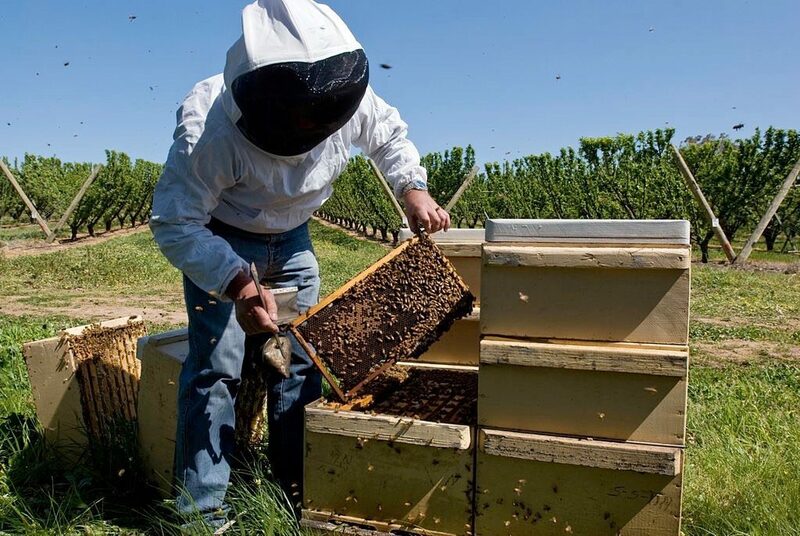 Annual surveys conducted by the U.S. Department of Agriculture and collaborators show that since the winter of 2006/2007, honeybee mortality has remained above the level that beekeepers consider economically sustainable (18.9%). Data from Kim Kaplan, 2006-2014. Researching the causes of Colony Collapse Disorder is important because bees increase the yield of 96% of the crops that require animal pollination, and 75% of all crops that require insect pollination.7 The global annual economic value of insect pollination was estimated at 153 billion Euros in 20057 (190.4 billion U.S. Dollars). Without honeybees to pollinate wild plants and cultivated crops, the global food industry would have to use artificial means for pollination and this would vastly increase the price of food products.1,3,4,7 Honeybees are essential if humans hope to continue producing cheap food and food byproducts. In conclusion, honeybees are important to the humans because they affect the success of so many products used in our daily needs. Remedying Colony Collapse Disorder is imperative to ensure honeybee survival. Figure 5. A beekeeper inspects a honeybee hive at a cherry farm in South Wales. Honeybees are often moved from farm to farm in order to pollinate crops. Photograph by Nick Pitsas, 2007. CC BY 3.0. Associated Press. (20017, May). Declining Honeybees a ‘threat’ to Food Supply. MSNBC. Holland, Jennifer (2013, May 10). The Plight of the Honeybee. National Geographic. Plumer, Brad (2013, May 3). Why are bees dying? The U.S. and Europe have different theories. The Washington Post. Van Engelsdorp, D., et al. (2009). Colony Collapse Disorder: A Descriptive Study. Plos One. 4.8:1-17. Walsh, Bryan (2013, May 7). Beepocalypse Redux: Honeybees Are Still Dying — and We Still Don’t Know Why. Time. Potts, S., et al. (2010). Global pollinator declines: trends, impacts and drivers. Trends in Ecology & Evolution. 25.6:345-353. Evans, J.D., & Schwarz, R.S. (2011). Bees brought to their knees: microbes affecting honey bee health. Trends in Microbiology. 19.12:614-620. Petts, James. (2014). [Photograph of honeybee gathering nectar]. Retrieved from Wikimedia Commons. CC BY-SA 2.0. Sémhur. 2011. [Map of the distribution of Apis melifera, the European Honeybee]. Retrieved from Wikimedia Commons. © Sémhur. CC BY-SA 2.0. Kaplan, Kim. (2006-2014). Annual Survey Reports on U.S. Honey Bee Losses. U.S. Department of Agriculture. CSIRO (Pitsas, Nick). (2007). CSIRO ScienceImage 6807 Dr Denis Anderson of CSIRO Entomology examining in a hive at a cherry farm near Young New South Wales. [Photograph]. Retrieved from Wikimedia Commons. © CSIRO. CC BY 3.0. De Rossi, Giulia. (2014). 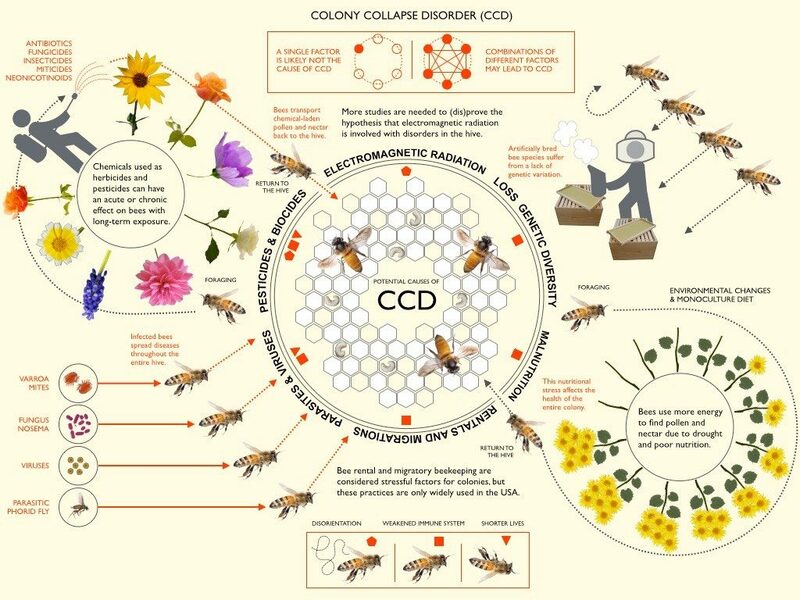 [Diagram describing possible causes of Colony Collapse Disorder]. Retrieved from Wikimedia Commons. © DensityDesign Research Lab. CC BY-SA 4.0. Shebs, Stan. (2008). [Photograph of sunflower]. Retrieved from Wikimedia Commons. CC BY-SA 3.0. Wylie, Scott. (2009). [Photograph of peach rose]. Retrieved from Wikimedia Commons. CC BY 2.0. Manske, Magnus. (2013). [Photograph of cosmos flower]. Retrieved from Wikimedia Commons. CC BY 2.0. Wylie, Scott. (2009). [Photograph of white rose]. Retrieved from Wikimedia Commons. CC BY 2.0. Vernon, Alan. (2010). [Photograph of yellow coastal tidy tips flower]. Retrieved from Wikimedia Commons. CC BY 2.0. Kika De La Garza Subtropical Agricultural Research Center. (2005). [Photograph of varroa mite]. Retrieved from Wikimedia Commons. Public Domain. Muir, Richard. (1927). [Micrograph of microorganisms]. Retrieved from Wikimedia Commons. CC BY 4.0. Strazhnik, Inna. (2014). [Photograph of phorid fly]. Retrieved from Phorid.net. CC BY 2.0. Rayker, Karunakar. (2010). Honey Bee Macro. [Photograph]. Retrieved from FlickrCommons. CC BY 2.0. Previous: 5.3 Elephant Contraception- Possible Solution for South Africa’s “Elephant Problem”?